He arrived onto the A-list soundtrack scene by scoring two back to back Best Picture Oscar winners, “Rain Man” (1988) and “Driving Miss Daisy” (1989). His revolutionary score for Tony Scott’s “Crimson Tide” (1995) brought a fresh, new sound that caught the attention of film music fan Steven Spielberg, who hired him as the compose-in-chief at the newly formed Dreamworks Studio. The already wildly popular composer broke through to a new level of stardom by scoring yet another Oscar winning film, “Gladiator” (2000). The “Gladiator” soundtrack was a huge hit and became the rare film score album to crossover into the mainstream and ever since Hans Zimmer has become the voice of the Hollywood blockbuster. The talented Hans Zimmer is so popular and prolific you can even catch his name in the credits of television documentary shows such as The Science Channel’s “Through the Wormhole” hosted by Morgan Freeman, one of the stars of Zimmer’s early breakout films, the Oscar winning film “Driving Miss Daisy”. No living composer should ever be compared to John Williams, with the notable exception of Ennio Morricone. But in terms of popularity and omnipresence, what John Williams was to the late 1970s and early 80’s, Hans Zimmer is to the 2000s. In anticipation of this month’s Zimmer scored “Man of Steel”, here is a list of the five best Hans Zimmer scores ever. Or at least the five favorite of this writer. 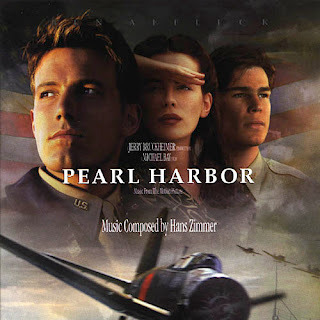 Remember the sensational trailer music from “Pearl Harbor” (2001) that sent even non-soundtrack fans scurrying to the internet to figure out “where is that music from?” That dramatic, soaring music was from “Journey to the Line” and is but a small part of one of a soundtrack that can only be described as a transporting experience. 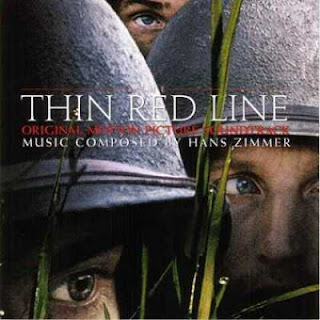 “The Thin Red Line” does what only the absolute best of the best film scores can manage to achieve. It creates a detailed world, full of emotion and magic and mystery and danger and wonder, and the music takes the listener there, sending them on and a spiritual and emotional journey. This is music will make you experience deep emotions and reflections. It is a remarkable achievement in film music. “The Thin Red Line” came out the same year as “Saving Private Ryan” and is in many ways the anti-Private Ryan. It is also arguably a better film, and a better score. This is Hans Zimmer’s masterpiece and his best score to date. This underrated, sentimental gem was written by none other than J.J. Abrams. The film features understated direction by Mike Nichols, superb on location NYC cinematography, terrific work by Annette Bening and Harrison Ford, and a Fanning-esque performance by the young Mikki Allen. The movie also has a beautiful, wonderfully restrained, emotion-packed score by the composer best known his brooding soundscapes and thunderous crashes of testosterone. “Regarding Henry” is a lost treasure of a soundtrack in the ever expanding Zimmer discography. This score is to Zimmer what “To Gillian on Her 37th Birthday” (1996) is to James Horner, or what “Stepmom” (1999) is to John Williams. Out of print but definitely worth tracking down and paying up for. 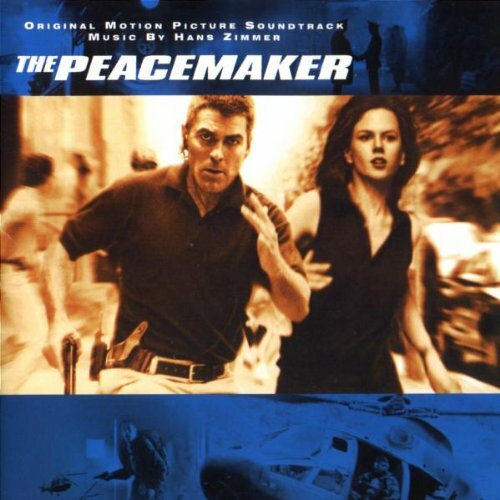 “The Peacemaker” takes the dramatic, brooding, testosterone-drenched style of scoring that Zimmer created with “The Crimson Tide” (1995) and would return to in “Gladiator” (2000), but takes it to a whole new level of artistry. This soundtrack has the vibe of an old school noir-era action score, but performed with the modern sensibilities of Zimmer and his thunderous, haunting gestures mixed with lots of minor keys amid booming male choirs and ethereal female vocal solos. It is a wickedly and relentlessly entertaining score that never fails to engage. The only flaw—the soundtrack album is way too short, missing nearly half the music from the film. Hyped endlessly for over two years, mainly by way of a knockout trailer using Zimmer’s majestic music from “The Thin Red Line”, critics were salivating to take down “Pearl Harbor” long before its arrival in theaters. The truth is the film works well as a big budget epic, mushy soap opera and all three of the leads, especially Kate Beckinsale are fine. Hans Zimmer reportedly struggled for months to find the right theme for “Pearl Harbor”. His efforts paid off in spades. The centerpiece of the score is a gorgeous, haunting, melancholy, wonderfully sentimental John Barry style love theme. It is a magnificent theme and works as a perfect bridge toward the score action cues and melodramatic (in a good way) material. Hans Zimmer’s “King Arthur” score exudes excitement and emotion, breathing life into nearly every scene it touches. “Woad to Ruin” and “Hold the Ice” contain some of the best action cues of Zimmer’s illustrious career. Other Highlights of this crisply produced and thoroughly entertaining soundtrack include “Tell Me Now (What You See)” performed by Moya Brennan (sister of Enya). This beautiful melody serves as the love theme in “King Arthur” and is one of Hans Zimmer’s best overall love themes.